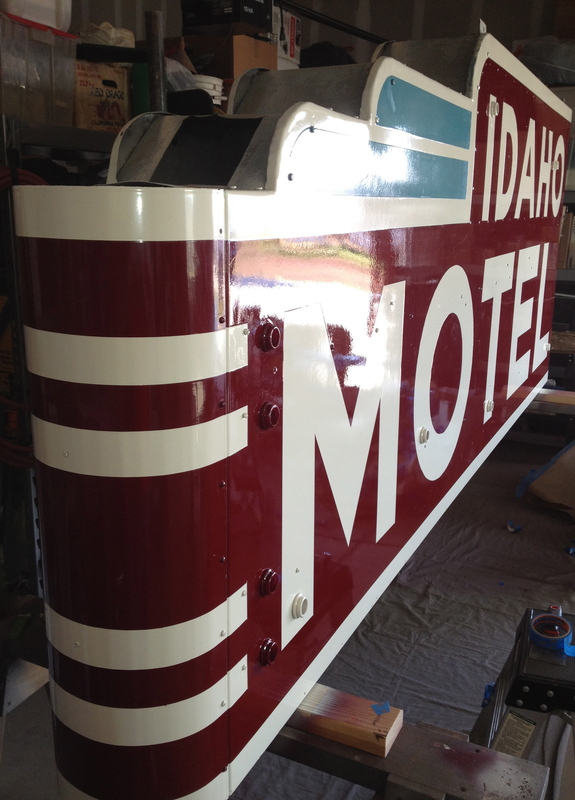 1940’s Idaho Motel Sign Is Complete! Just to recap for all those who are just joining us. Mel and I nabbed this sign while driving on Hwy16 (Jackson Rd.). I happened to glance over and caught a glimpse of the sign. When we purchased it, it looked like it did below. 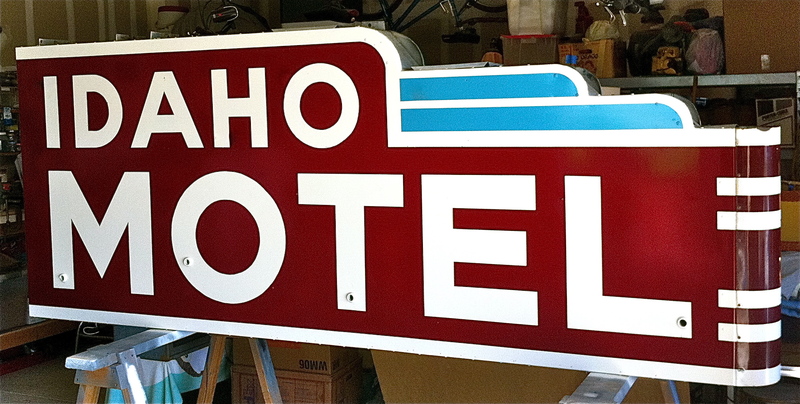 The seller advised us that the sign was used by the Holiday Inn located in downtown Sacramento. I wanted to keep it original so I removed the arrow on the bottom and the Holiday Inn tin label on the front of each side. 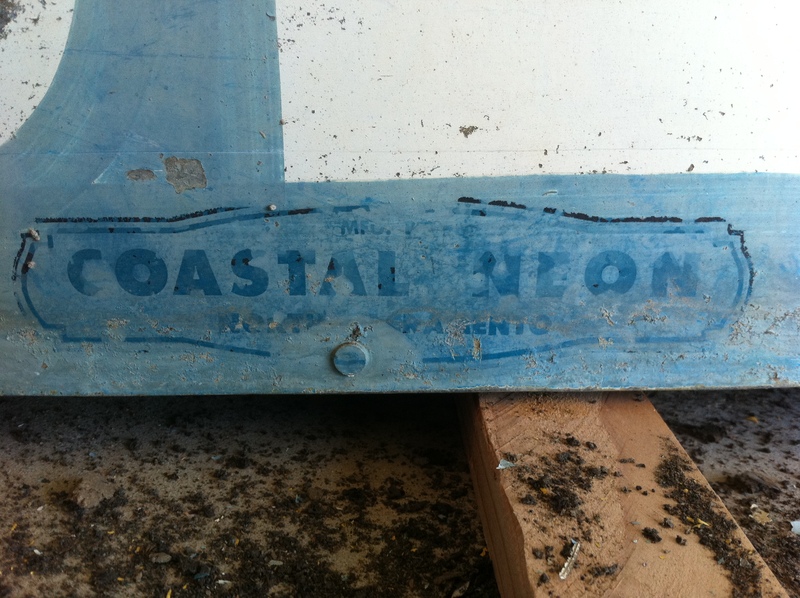 Coastal Neon appears to be the original company that modified the sign for the Holiday Inn. 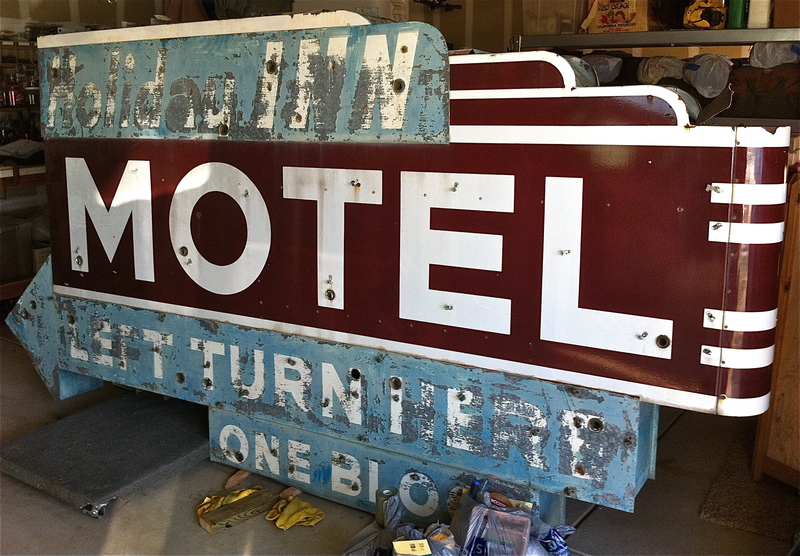 Upon getting this sign home I did some research and found out it belonged to a motel down in El Cerrito California (100 miles away). 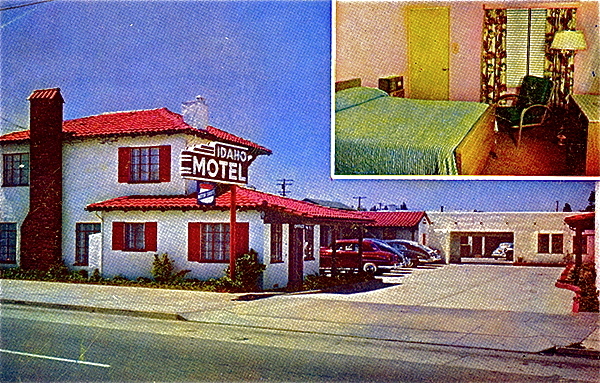 Someone has done research on this motel and posted cool info on it. Here is a “link” to the website if you want to know more. Here the sign is in use. I am guessing sometime in the 1940’s. Here is each side complete. Once the paint has dried I will attempt to move it into the house. This was not an easy job and I even had to redo one side after the paint reacted to something and bubbled up :-(. I am very pleased with how it looks and that its restoration is finally done. It is amazing what spray paint, tape and masking paper can do. Once the paint dries I will bust out the car wax to give it a great shine. I plan to use black automotive pin striping decals to outline the whole thing to make the lines cleaner. I don’t know if we will have neon installed on it anytime soon. If we do decide to it will be like the cherry on top. 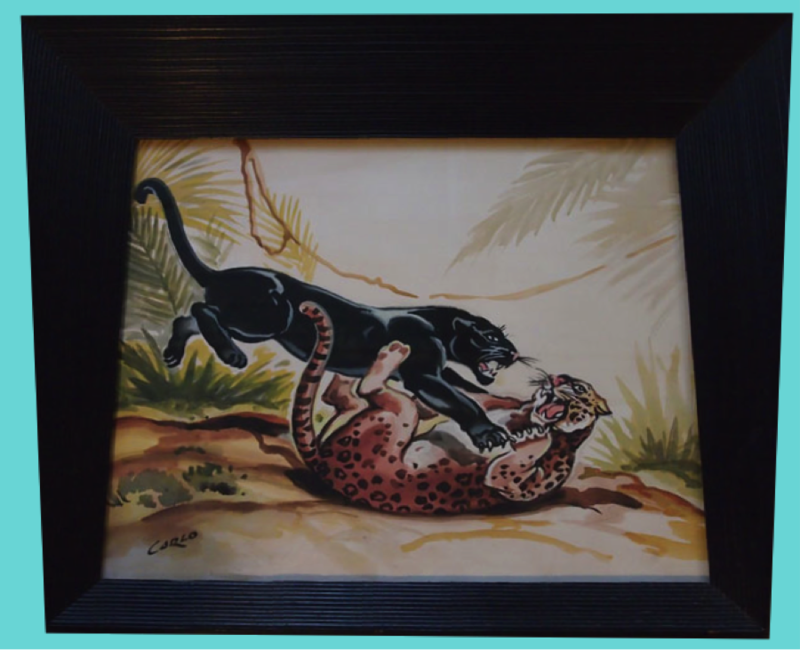 I think for now we will just enjoy and I am sure it will be a conversation piece of our room. I am now on the look for another sign to restore and I think I will flip the next one. Spectacular!!!! I’m devastated I was having to work at the store the day you did this – I SO would have LOVED watching. I missed out big time. 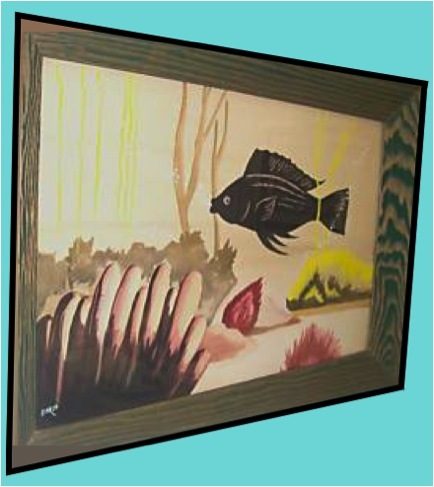 Are you going to replace the current room divider with it? I so wish you could get hold of that Old McDonald Farm one I was telling you about on Jackson Road. Incredible job – as usual. Thanks Vic. I am just soo glad I am finished. I will let you know the next time. I seem to always seem to be painting something. 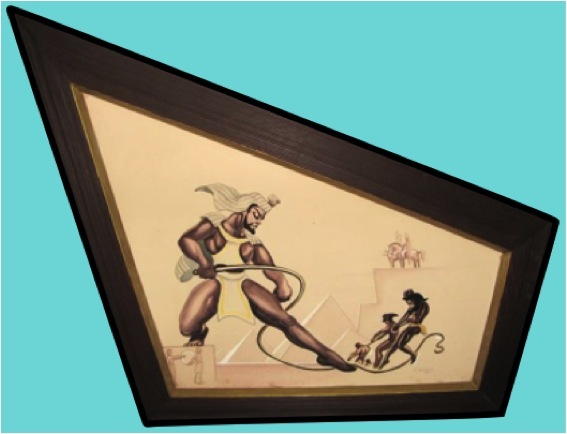 I am moving our current room devider and will place it somewhere else in the room. I know, I think I could do miracles to the “Old McDonald Farm” sign……I will look into it. AWWWK! I just noticed you went over the TWENTY THOUSAND hit mark! Whoopeeee! Thanks Vic! We are soo excited. Thanks for the shout out! Yes, I’m a guy with a tough exterior who loves pink and decorating :). I checked out your blog too and it rocks. My wife loves your new pair of blowfish booties.